Videogames have evolved beyond conventional entertainment with basic story-lines jam packed with action into something more robust and rounded that one would expect out of a Hollywood blockbuster. While the action remains, few games focus on human emotions that make us human and instead concentrate on revenge & rage. Yes it is hard to develop a game that ties into emotions like love, longing and loneliness, but when it happens something special takes place between the player and the game. The last game that really tugged on those emotional strings had to be Braid and it did it brilliantly with minimal dialogue. Coldwood Interactive, a small studio from Sweden, hopes to capture gamers in a tale deeper than the surface action leads on, but can Unravel tie drama and action together to make an unforgettable game? 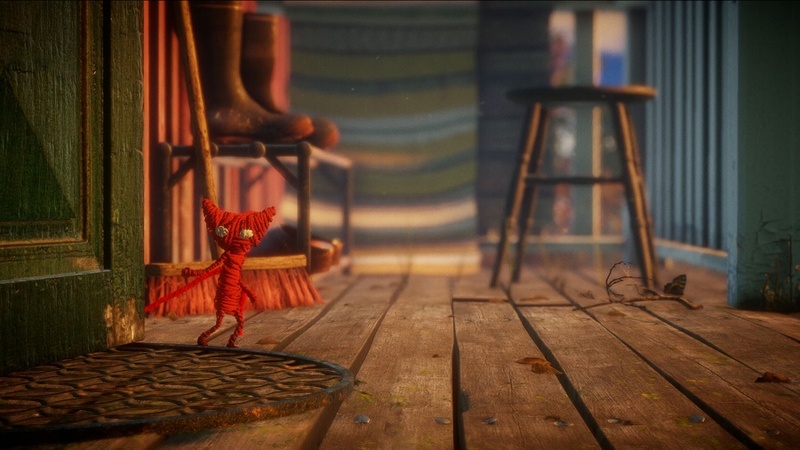 Endearing stories must have a likeable protagonist and lead character Yarny fits the bill to the T. As you can guess our little hero is made entirely of yarn and even though the name is as unoriginal as Little Big Planet’s Sackboy, he grows on you none the less. 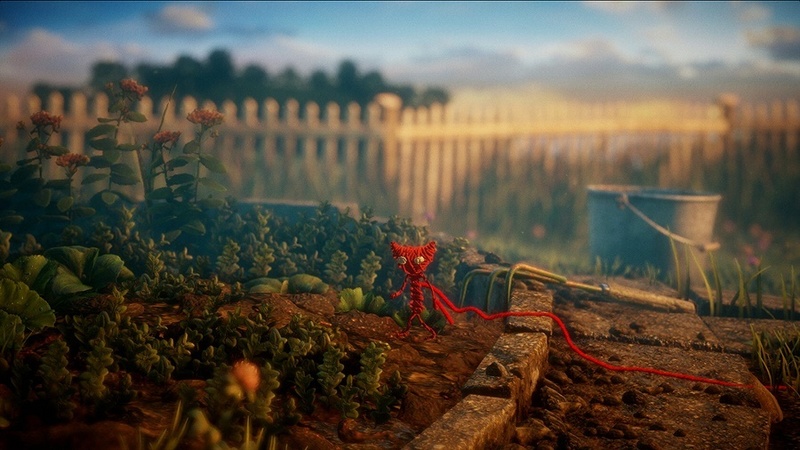 Unravel is a cross between platformer and puzzler that uses Yarny’s unique make-up to aid him in his travels across unforgiving and lush environments packed with obstacles and pests. As you traverse through the levels you slowly lose the yarn you are made up of until you find a new spool to keep your adventure going. Sometimes these are in obvious places and other times you must use your trailing string to tie knots to an anchor to scale down steep drops or on different spots for a self-made trampoline that will shoot you up to those hard to reach spots. Puzzles are a perfect blend of cerebral challenge and trial & error that pit your wits & patience against well thought out levels and the constraints placed on you by limited amount of yarn. Not only do the levels present a wonderful test, but they are each beautifully rendered and a sharp contrast from each other. Unravel mixes together objects we overlook on a daily basis like rocks, puddles, and plants with an ever-changing and moving back drop of rolling clouds, waves lapping the shorelines, and snow laden ground. Each adventure starts you off in a cottage where you’ll jump into photographs and collect lost trinkets that slowly piece together a photo album. Along the way you’ll catch glimpses of hazy memories and collect them to unfold a tale of love, loss, and remembrance. 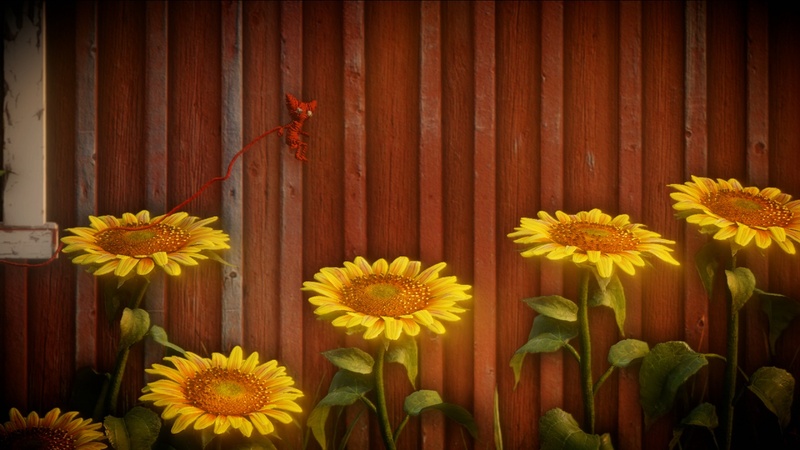 Unravel is visually stunning, but the soundtrack is equally astonishing. The music transports the player to a whole other level weaving emotion into your ears without the use of any dialogue. Melodies linger in the mind and exude an exotic sound that keeps pace with the action at hand. Even though the game only lasts a handful of hours, players will find themselves in seventh heaven as they play something that is amazingly polished in every detail. Unravel’s story pulls on the heart strings allowing all those who pick up the controller a rare glimpse into a game that actually has meaning. Controls are crisp and precise, puzzles thought provoking, and all this woven into a visual & audio masterpiece. 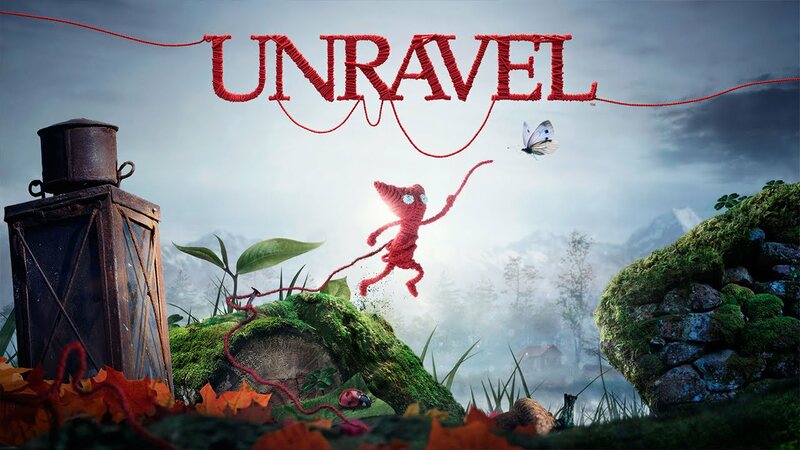 Any player looking for something off the beaten path of most games today and one of the most memorable games in years will be pleased in adding Unravel to their game library.